There are more than 900 Mayan sites across Belize. The tallest structure in the country is a Mayan temple in Caracol. It is 137 feet tall and was built around the year 1000 A.D. The capital of Belize used to be Belize City, but that place was nearly destroyed by Hurricane Hattie in 1961. Belize City has recovered since then, but the capital was moved to Belmopan in 1970. With a population of 20,000 citizens, Belmopan is one of the smallest capital cities in the world. 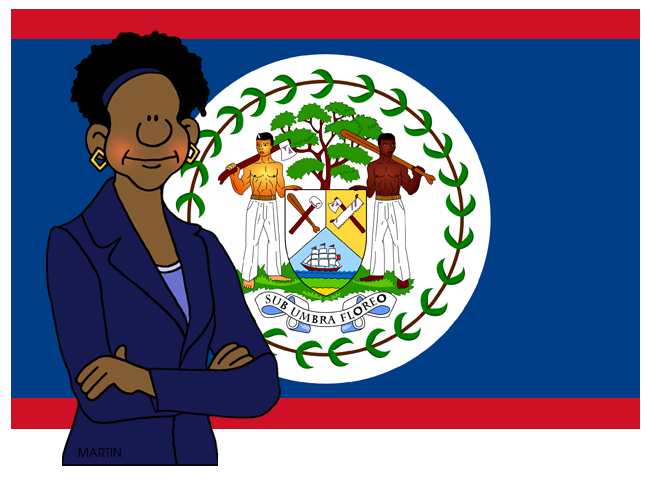 Belize is the only country in Central America where English is the official language. It's because the place used to be a British colony and called British Honduras. Independence wasn't gained until 1981. You can also hear a lot of Spanish, Creole, Garifuna and a few Mayan languages across the country. The Mesoamerican Barrier Reef, the world's second largest reef system, is off the coast of Belize. It's a UNESCO World Heritage Site and runs for 900 km off the coast of Belize and the Yucatan peninsula. (And, the largest reef in the world is . . . . the Great Barrier Reef in Australia). Belize is home to a rare howler monkey that has the distinction of being one of the top ten loudest animals on the planet. It can be heard from over two miles away! If you are a picky eater, you may not want to eat any "mystery meat" while in Belize. One popular dish is gibnut. It sounds innocent enough, but it is a large rodent. It is said that it tastes like tough chicken. (I'm still not interested.) And, you may want to shy away from "bamboo chicken". It has nothing to do with chicken. It's a large, green iguana. If you want something a little less exotic, Belizeans also like stewed chicken with rice and beans. Belize is home to lush rainforest with over 500 kinds of tropical birds. The national bird of Belize in the toucan. And, the world's only jaguar preserve is in Belize. It's the Cockscomb Basin Wildlife Sanctuary and Jaguar Preserve.